If you exercise, your sweat might smell funky. Your breath and urine may have a strange odor too. You want the health benefits of B complex vitamins, but you want to avoid the often fishy body odor they seem to cause. That's just one reason why Jarrow Formulas offers B-Right Optimized B-Complex capsules. The cause of that weird smell comes from the breakdown of choline. As your body uses this B-vitamin, it leaves behind a waste product known as trimethylamine, which your body gets rid of in your breath, urine and perspiration. B-Right from Jarrow Formulas addresses that concern with a low-odor option. That's because it uses choline bitartrate that is micro-encapsulated in tiny cellulose beads. If your nose is sensitive to your own scent - do yourself a favor - choose a beneficial B-complex supplement that's balanced and reduces the possibility of offensive body odors. 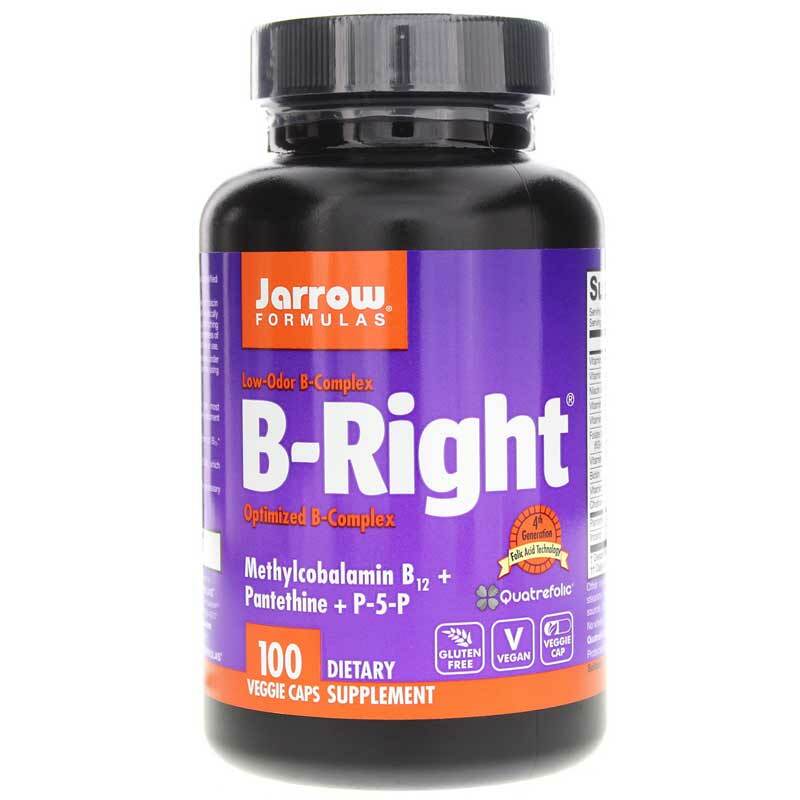 Get B-Right from Jarrow Formulas today - for your overall health and your personal hygiene. 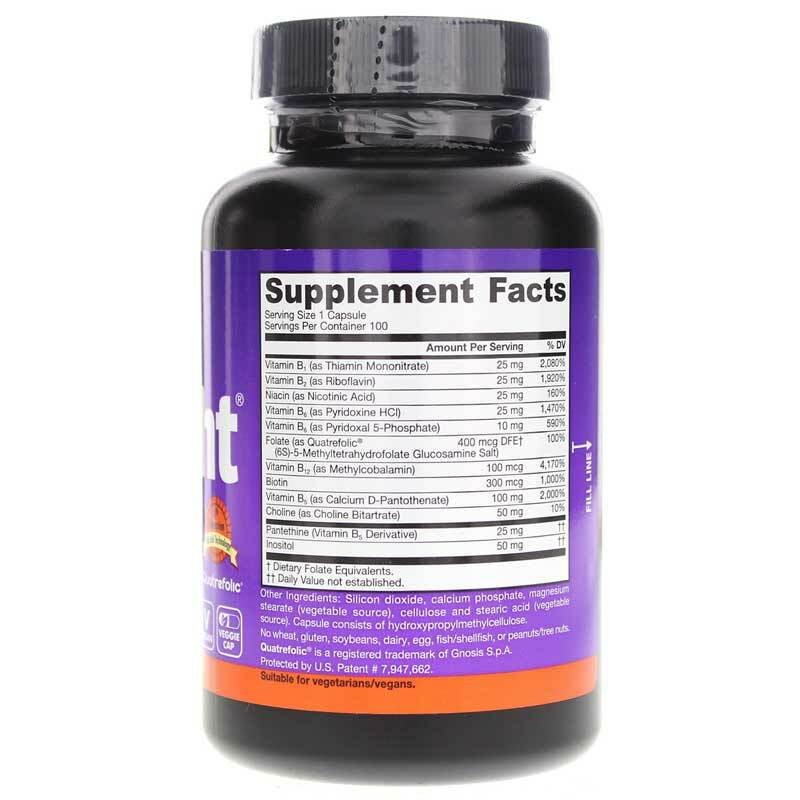 Other Ingredients: magnesium stearate (vegetable source), calcium phosphate, cellulose and silicon dioxide. Capsule consists of hydroxypropylmethylcellulolse. Contains NO: wheat, gluten, soybeans, dairy, egg, fish/shellfish, peanuts/tree nuts. Vegan and Non-GMO. Adults: Take 1 capsule per day with a meal, or as directed by your qualified healthcare consultant. If you have a medical condition, are pregnant, lactating, or trying to conceive, are under the age of 18, or are taking medications, consult your healthcare practitioner before using this product. 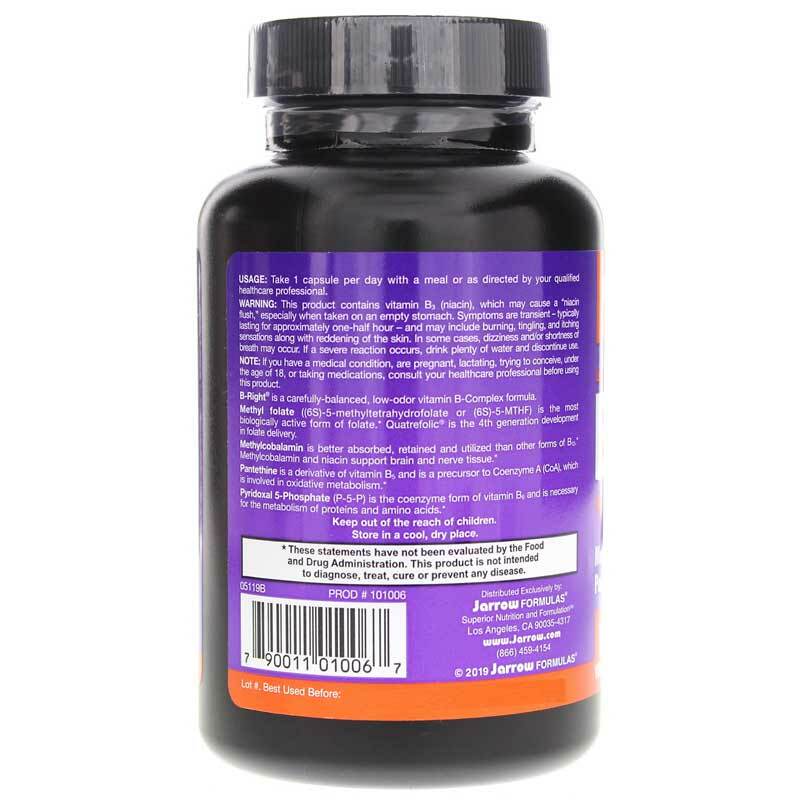 This product contains vitamin B3 (niacin), which may cause a "niacin flush," especially when taken on an empty stomach. Symptoms are transient - typically lasting for approximately one-half hour and may include burning, tingling, and itching sensations along with reddening of the skin. In some cases, dizziness and/or shortness of breath may occur. If a severe reaction occurs, drink plenty of water and discontinue use. Keep out of the reach of children. I like the fact that I have no after taste when I take my B-right Optimized B Complex capsule. I am very happy with my purchase and I will buy it again. These B caps are great. I was looking for something without that terrible Vit B odor and this brand is it. Great quality, easy to digest and the best part, no odor.